Fifth Harmony. 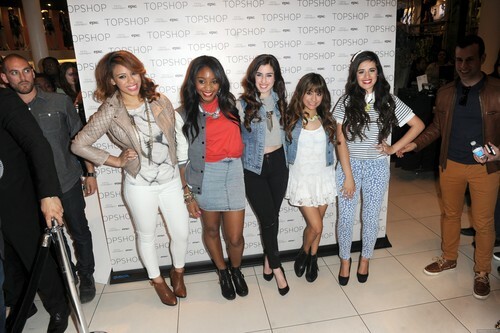 Fifth Harmony at the Topshop Meet & Greet event in NYC. HD Wallpaper and background images in the Fifth Harmony club tagged: fifth harmony camila cabello ally brooke normani kordei hamilton dinah jane hansen lauren jauregui lauren michelle jauregui dinah jane ally brooke hernandez normani kordei. This Fifth Harmony photo contains 精心打扮的人, 西装, 裤套装, 裤装, 穿着好衣服的人, 裤子套装, 穿得好的人, 套装, 商务套装, and 西装. There might also be hip boot, thigh boot, 盒子外套, 盒外套, 框的外套, 外衣, 上衣, and 户外休闲服罩衣.